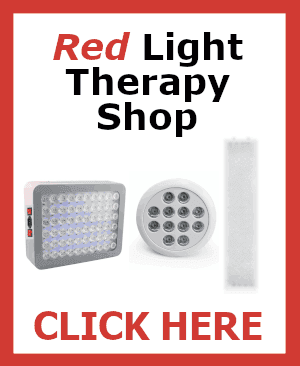 If you’ve tried all the latest weight loss gimmicks with no luck, consider red light therapy. 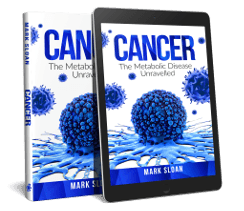 It’s one of the safest and most effective treatments for burning fat ever discovered. 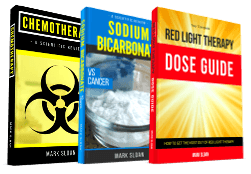 In this episode you’ll learn about the dangers of liposuction, three of the most outrageous products for fat loss and how red light therapy can help you burn up to 3 inches of fat in just two weeks. If you enjoy the show, please share it with everybody you love on social media. Obese people have an increased risk for a number of diseases and conditions including heart disease, stroke, type 2 diabetes and cancer. Correcting this condition is vital for long term health. Obese people tend to have larger medical bills to the extent that they pay to treat the symptoms that result from having excess fat. Fat cells produce estrogen, which activates the body’s stress response, so someone who is obese can experience any of the myriad of symptoms associated with stress. When they return to their doctors about their symptoms, he or she will likely prescribe them some form of medication to help alleviate the patient’s symptoms, which will cost the patient money. In 2006, liposuction was the most common plastic surgery performed with over 400,000 patients. Studies on both rodents and humans have demonstrated that liposuction negatively affects metabolism, creates an increase in visceral fat,2 long-term fat mobilization,3 metabolic syndrome,4 and an increase in insulin resistance5 (possibly leading to type 2 diabetes). Liposuction also causes fat to deposit in untreated areas, and poses serious risks of structural damage. There are no shortages of people, programs and devices claiming they can reduce your weight, but most of them don’t actually work. Of the ones that work, some do so in ways that are stressful and damaging. 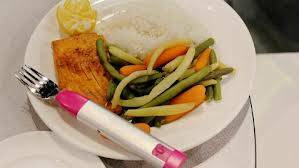 The Hapifork is a plastic, battery-operated fork which vibrates if you eat too quickly. I think the ‘inventor’ was confused and though health has nothing to do with what you eat or how much, only how quickly you shovel forkfuls of food into your mouth. This plastic, spring-loaded device is like ab crunches for your neck. 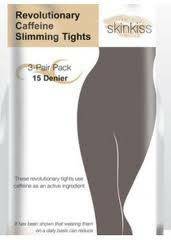 The neckline slimmer promises a younger looking neckline, just be careful that you don’t pop a few neck bones in the process..
Coffee tights are powdered coffee embedded into the fabric of tights, set to be absorbed by your skin throughout the day. Although there is evidence coffee can improve metabolism and help you lose weight, the concept of wearing powdered coffee tights is hilarious to me. Me, I prefer to drink my coffee. Would you like some cream and sugar with those coffee tights? The study took place over a 20 week period, during which both groups of obese women underwent exercise training 3-times a week. 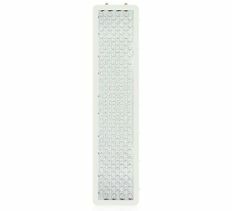 At the end of each training session, one group of women received light therapy and the other did not. 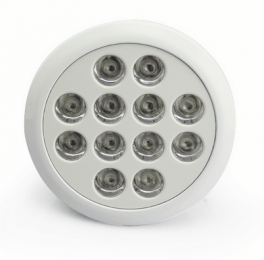 “Our results demonstrated for the first time that phototherapy enhances the physical exercise effects in obese women undergoing weight loss treatment promoting significant changes” (Sene-fiorese M, et al. 2015). 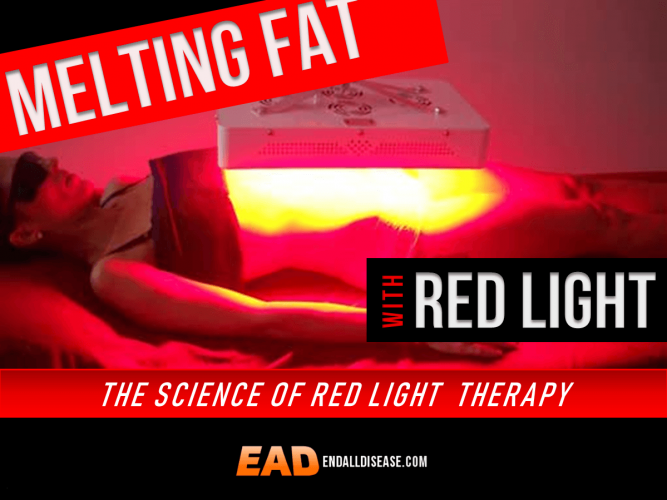 Other studies have reported similar findings in obese people who combined exercise with red light therapy, but even studies that did not include exercise have reported significant fat reduction from red light therapy alone. 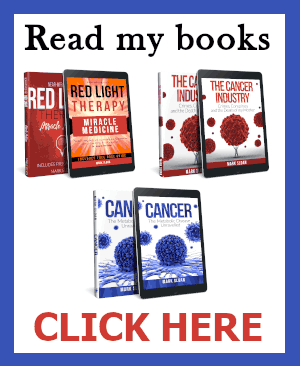 Scientists from George Washington University conducted an independent physician-led trial in 2013 to test the ability of red laser light (635nm) to reduce fat on the waist, hips and thighs of obese individuals. Laser treatments were administered to 8 obese patients and consisted of 20 minute sessions every second day for two weeks. When researchers assessed the patients three weeks after the trial began (one week after treatments ended) the results were remarkable. 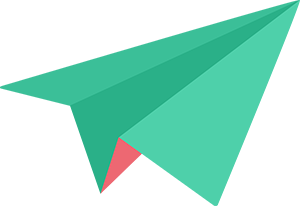 “Compared with baseline, a statistically significant 2.99 in. (7.59 cm) mean loss was observed at the post-procedure evaluation point (P < 0.0001)” (Mcrae E, et al. 2013). Translation: Patients lost 3 inches of fat from their waist, hips and thighs in just two weeks of red light therapy treatment. 67 volunteers participated in a 2-week study and participants received red light treatment or a sham treatment. 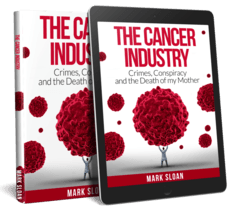 The treatment group received red light 3 times per week for two weeks. Two weeks later, reduction in circumference of the waist, hips and thighs were assessed. 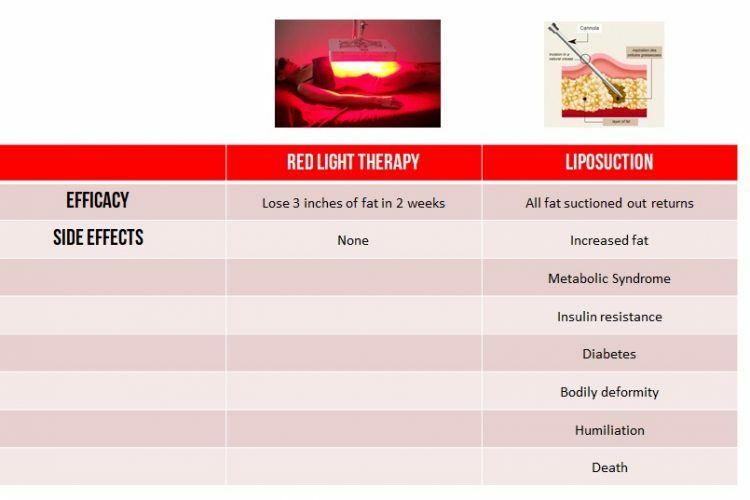 In the following chart I’ve compared the efficacy and safety of both liposuction with red light therapy. 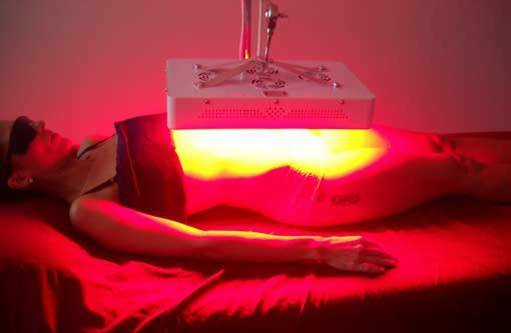 Notice that unlike liposuction, red light therapy actually works to reduce fat. 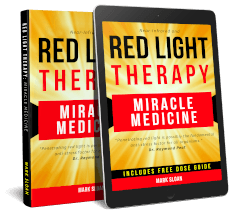 You’ll also notice that of the 50,000 studies published to date, no side effects of red light therapy have been reported, for weight loss or any other condition. 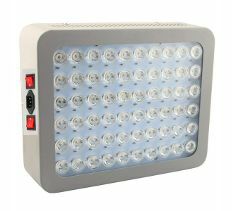 Red light therapy can help reduce body fat by boosting the metabolism. It does this by downregulating stress hormones which prevent a high metabolism. 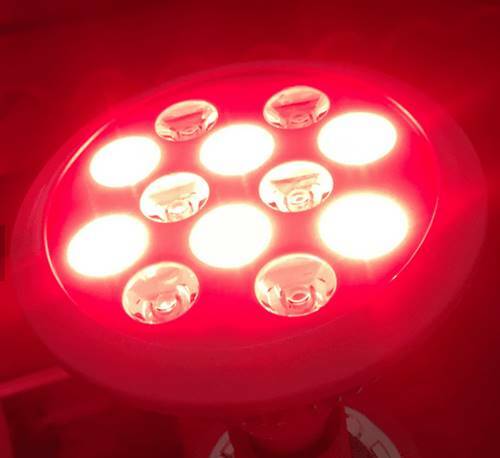 By lowering stress hormones in the body like cortisol and adrenaline, red light therapy increases the body’s metabolism, causing it to burn more calories at rest. The bottom line: Foods and Medicines that lower the stress lead to weight loss. 1. 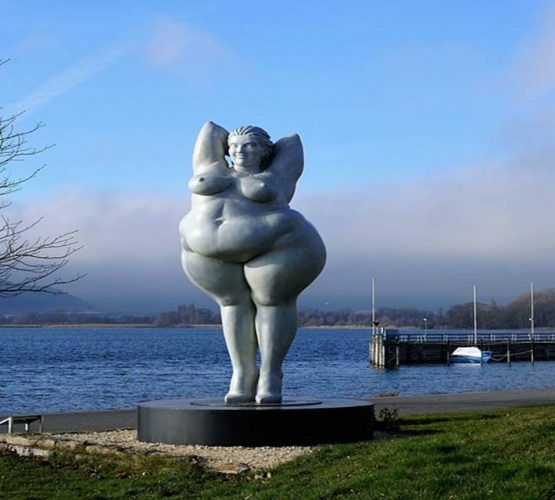 “Overweight & Obesity.” Centers for Disease Control and Prevention. (2017). Available: https://www.cdc.gov/obesity/data/adult.html [February 10, 2018]. 2. Hernandez TL, Kittelson JM, Law CK, et al. Fat redistribution following suction lipectomy: defense of body fat and patterns of restoration. Obesity (Silver Spring). 2011;19(7):1388-95. 3. Senen D, Atakul D, Erten G, Erdoğan B, Lortlar N. Evaluation of the risk of systemic fat mobilization and fat embolus following liposuction with dry and tumescent technique: an experimental study on rats. Aesthetic Plast Surg. 2009;33(5):730-7. 4. Weber RV, Buckley MC, Fried SK, Kral JG. Subcutaneous lipectomy causes a metabolic syndrome in hamsters. Am J Physiol Regul Integr Comp Physiol. 2000;279(3):R936-43. 5. Oliveira Sde S, Cibantos JS, Ripari WT, Aguilar-nascimento JE. 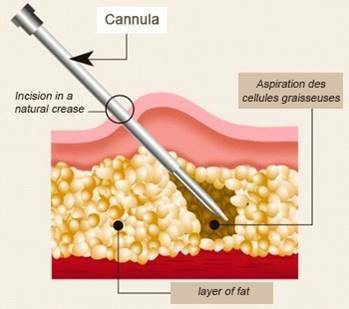 Impact of the aspirated volume of fat tissue in the insulin resistance after liposuction. Rev Col Bras Cir. 2013;40(1):17-22. 6. Sene-fiorese M, Duarte FO, De aquino junior AE, et al. 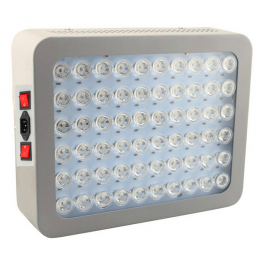 The potential of phototherapy to reduce body fat, insulin resistance and “metabolic inflexibility” related to obesity in women undergoing weight loss treatment. Lasers Surg Med. 2015;47(8):634-42. 7. Duarte FO, Sene-fiorese M, De aquino junior AE, et al. Can low-level laser therapy (LLLT) associated with an aerobic plus resistance training change the cardiometabolic risk in obese women? A placebo-controlled clinical trial. J Photochem Photobiol B, Biol. 2015;153:103-10. 8. Nestor MS, Newburger J, Zarraga MB. Body contouring using 635-nm low level laser therapy. Semin Cutan Med Surg. 2013;32(1):35-40. 9. Jackson RF, Dedo DD, Roche GC, Turok DI, Maloney RJ. 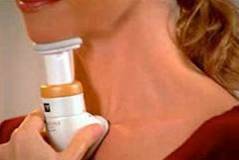 Low-level laser therapy as a non-invasive approach for body contouring: a randomized, controlled study. Lasers Surg Med. 2009;41(10):799-809. 10. Mcrae E, Boris J. Independent evaluation of low-level laser therapy at 635 nm for non-invasive body contouring of the waist, hips, and thighs. Lasers Surg Med. 2013;45(1):1-7. 10. Mcrae E, Boris J. Independent evaluation of low-level laser therapy at 635 nm for non-invasive body contouring of the waist, hips, and thighs. Lasers Surg Med. 2013;45(1):1-7.